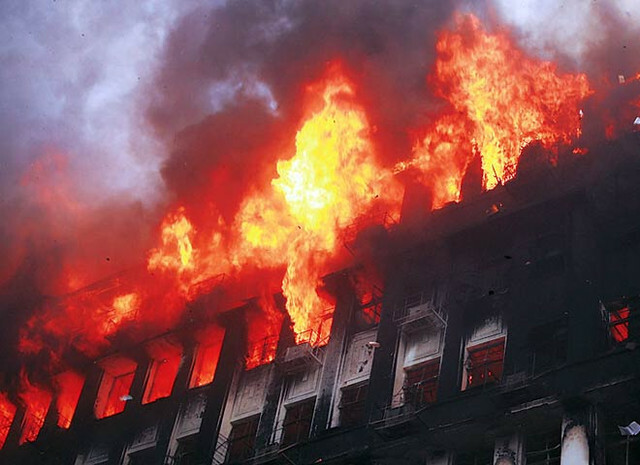 3 Common Fire Hazards In Schools – Fire Safety Malaysia Supplier | College and university campuses from sea to sea are a bevy of activity as students juggle coursework and part-time jobs as well as a social life and extracurricular activities. But as students pursue their scholastic goals and make time to have some fun, administrators need to ensure that on-campus safety guidelines are adhered to. This is particularly the case when it comes to the potential for fires. In addition to employing fire alarm monitoring services, post-secondary institutions should promote awareness in order to reduce the odds of fires. As well as how fire alarm monitoring can not only prevent or reduce the extent of damage, but also prevent human casualties. There’s a good reason why some post-secondary school campuses actually prohibit students from having electrical appliances be they toaster ovens, irons, coffee machines, or other such things in their dorm rooms. It’s easy to see how the careless or improper use of electrical appliances can pose a fire hazard that could have serious consequences. Another potential problem involves plugging an excessive number of things into electrical outlets courtesy of extension cords or power bars. This could potentially overload the circuits and trigger electrical fires. So administrators should, firstly, enforce a strict ban on the use of electrical appliances in dorm rooms, and secondly, warn students about the dangers of plugging in way too many things into electrical outlets. Most, if not all, schools now prohibit students from smoking in their dorm rooms. But some students flout the rules by smoking inside. Unfortunately, smoking indoors, whether in a dorm room or in a home, can lead to devastating consequences. For instance, students who break the rules and smoke in their dorm rooms could possibly doze off with a lit cigarette or be careless by dumping lit cigarette butts into garbage cans, creating a fire hazard. It goes without saying that clutter is never a good thing — but the problem could be magnified substantially in a small space should there be a fire. Clutter, for instance, an excessive number of posters or other things affixed to the wall, will only fuel a fire and cause it to get out of control faster than would have otherwise been the case. So administrators should restrict how much stuff students are allowed to put on their walls. Case in point: some schools mandate that students can cover only up to 50% of their walls with posters and the like. As can be seen, electrical appliances, smoking and clutter can be contributing factors to fires on campuses. While policies need to be put in place and enforced, administrators can go the extra mile by implementing fire alarm monitoring. With such a system, schools will benefit by having the fire department notified whenever there’s a problem, and the sooner a problem is identified, the sooner the relevant authorities can be dispatched to tend to the situation. Want to get professional advice? We are here to help you provide fire extinguishers safely.